Q:I have a Nikon camera that creates MOV video files. And I’d like to upload the video files to YouTube. What video format does YouTube use? And what is the best video format to upload to YouTube? please suggest any solutions that will make sense. YouTube is one of the most popular video sharing sites that allow users to upload and share various kinds of video clips. 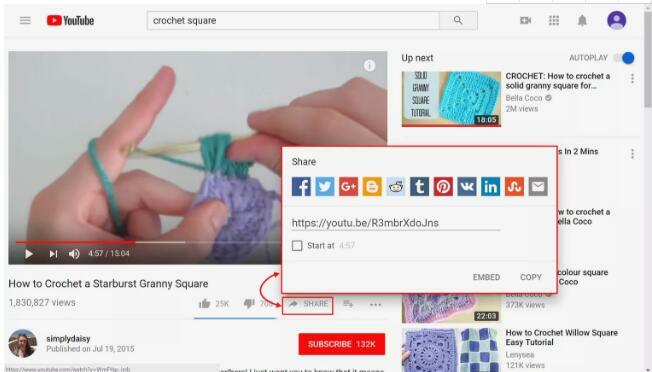 While you prefer to share your videos with others on YouTube, you should know about YouTube upload formats that are supported and welcomed. Then what video formats does YouTube support? You will find the answer here and meanwhile, find out the best video format for YouTube as well. YouTube is an American video-sharing website and operates as one of Google’s subsidiaries. Generally, it allows users to upload, view, rate, share, add to favorites, report, comment on videos, and subscribe to other users. Besides, YouTube also offers a wide range of user-generated and corporate media videos. The content of YouTube includes video clips, TV show clips, music videos, short and documentary films, audio recordings, movie trailers, live streams, and other content such as video blogging, short original videos, and educational videos. 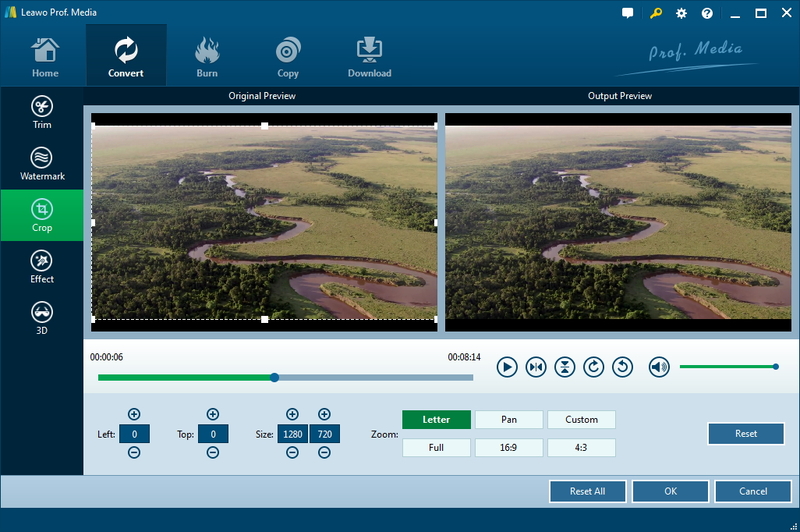 The QuickTime multimedia file format introduced by Apple, inc.
MPEG4 is the compression method standardized by MPEG group, and MP4 is a multimedia container format standard specified as a part of MPEG-4. Short for Audio Video Interleaved, a multimedia container format introduced by Microsoft. Windows Media Video, a video format introduced by Microsoft. A multimedia container format defined by the Third Generation Partnership Project for 3G UMTS multimedia services, usually used on 3G mobile phones and some 2G/4G phones. An audiovisual media file format that supports VP8/VP9 video and Vorbis/Opus audio. H.264, MPEG-2 or MPEG-4 are preferred. 1280 * 720 (16:9 HD) or 640 * 480 (4:3 SD) are recommended. There is no required minimum resolution—generally the higher resolution the better and HD resolution is preferred. Limit the length of a video file to 15 minutes. 2 GB for flash or a single video file, 20GB for uploading by JAVA. MP3 or AAC is preferred, and 44.1kHz sampling rate and the higher bitrate is possible, but no less than 192 kbps. 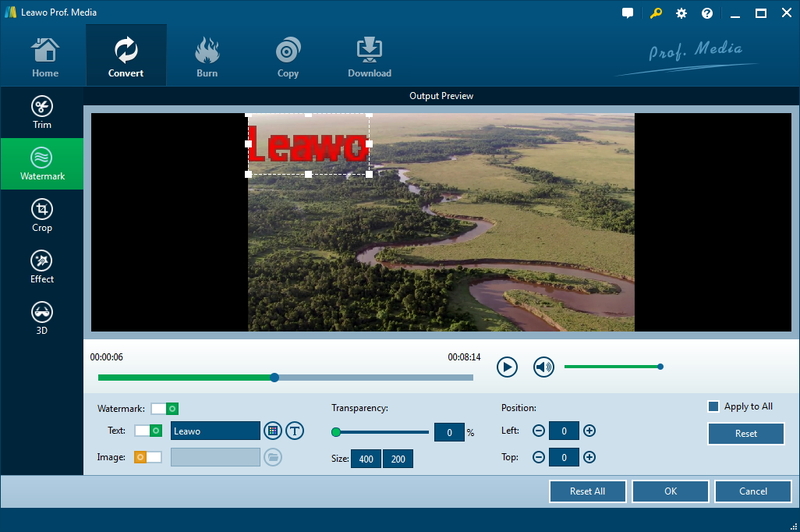 In terms of the professional software, Leawo Video Converter, which is designed to convert video and audio files among more than 180 formats from one to another, including converting MKV to WebM, WMV to 3GP, etc., and also allows users to edit video or audio to meet their needs for uploading to YouTube or other video sharing sites. In order to get best file format for YouTube, you can convert and edit the video with the help of the Video Converter in easy way. Click on the “Add Video” icon to pop out a drop-down box for browsing and choosing video files, and then import the selected video files you want to upload to YouTube to the converter. 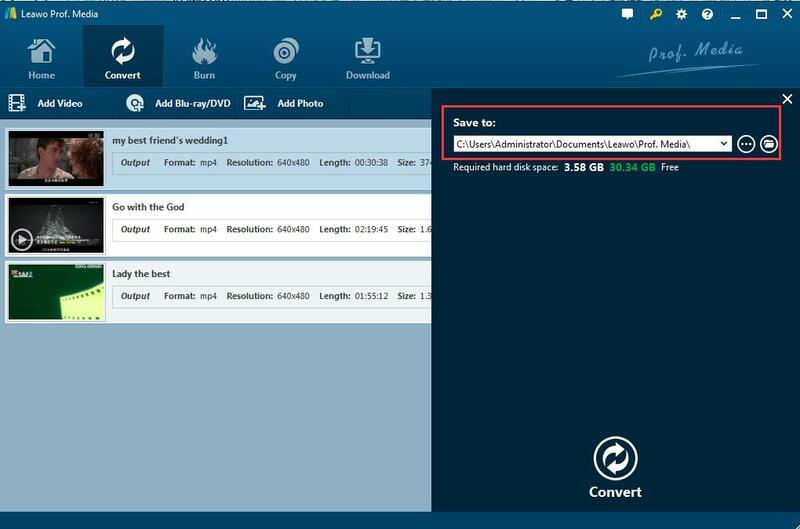 By the way, you can directly drag and drop video files into the program as well. Note: If you have several video clips and you want to make them all into one, you can click on “Merge all files into one” button next to the green “Convert” button. Then you can immediately get the merged video. Click the drop-down box right before the green Convert button and choose “Change” option to enter the Profile panel where you can find”MP4 Video” under Format group and select it as the output format. 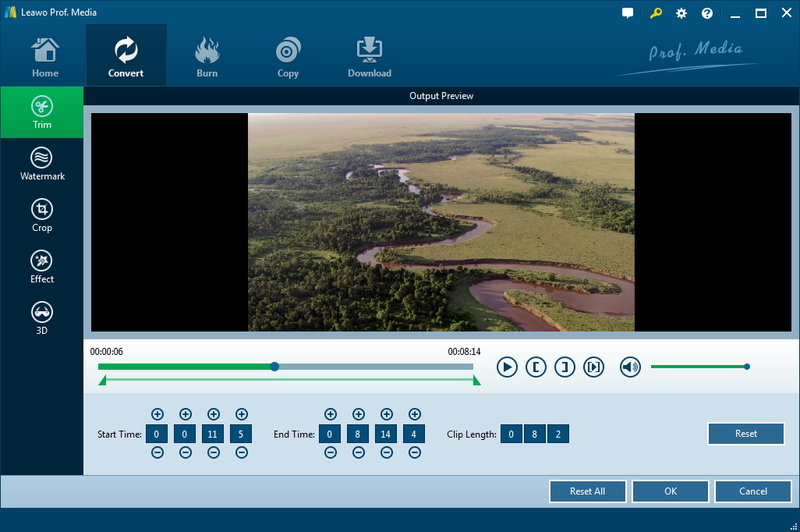 After selecting the output format, you can now edit the parameters of the video file by returning to the drop-down box and clicking “Edit” button. 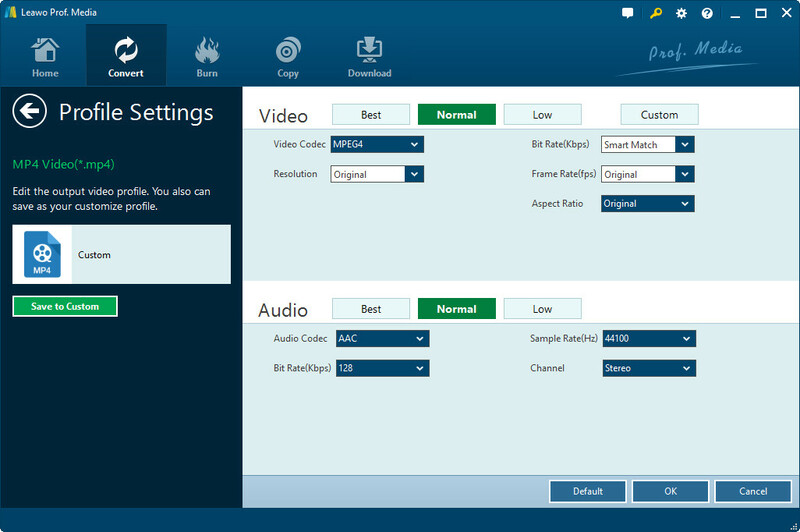 Then you will enter the “Profile Settings” panel where you are able to set the video and audio parameters including video codec, resolution, audio codec, sample rate and channel, etc. 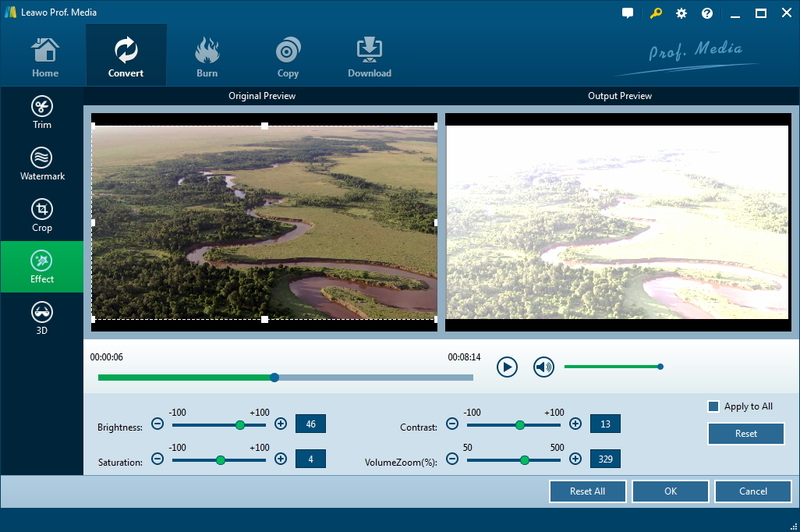 Set the proper parameters for the output video, and click “OK” to save the settings and go back to the main interface, where you can edit the video by clicking the edit icon. Then you can “Trim” the video length by setting the start time and end time of the video. To add Watermark is also available here. You can “Crop” the video by dragging the frame to change the video size. You are able to adjust video effect so as to make the video more dramatic. After all the settings done, you can check “Apply to All” for all videos if necessary. And then click “OK” to save the settings and return to the main interface. Click the green “Convert” button to pop up a sidebar where you are required to set the output directory for saving the converted video. Click the “Convert” icon at the bottom of the sidebar and start converting the video to MP4 with the settings and parameters you have done. 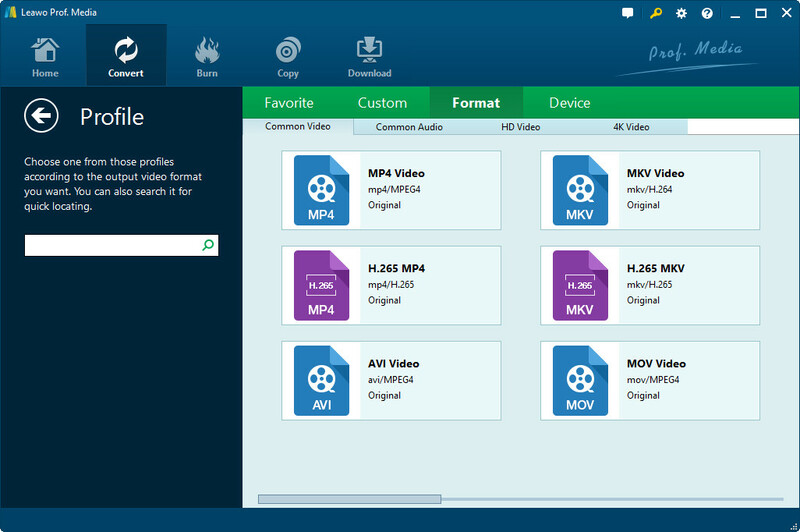 Then you will get the converted MP4 video files in the folder you saved in seconds. Now you get the perfect video in the best video format for YouTube, and you can easily upload it successfully . Of course, YouTube file formats include not only MP4, you can also convert the video to MOV, WebM, 3GP or any other YouTube video upload format you prefer. You can get any video format with the help of Video Converter due to the fact that what format does YouTube use. After all, Video Converter is a powerful program that can convert and edit any video files to your favorite video format that is accepted and supported by YouTube. Finally, what is the video format for YouTube? Are you still in confusion? I think the answer is no. Any way, get your best video format for YouTube and feel free to upload and enjoy the video.